This was one of the most exciting WWDC I have seen in years. Even the naysayers was excited about this press conference. 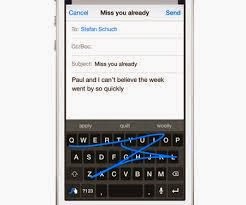 I love seeing @MollyWood scoffed at the keyboard improvements thinking typical closed off apple then ,,,,,boom you can get custom keyboards! Thats just one part, we got so much more. Customizations - Apple has opened up to allow more customizations. The number one thing Android fanboys tout is the ability to customize their phone. Isheep take what Apple gives them but Android let you pick the keyboard and widget etc to make their phone uniquely yours. Now if you don't like the iPhone keyboard you can download one. You can do a ESPN widget, or maybe you hate sports and want weather, etc. From my understanding, the cloud drive will be customized as well so you can save from all your apps to the drive of your choice. iMesseges - This is so exciting. Dropping out of conversations is so nice and convenient. I often get group messages and sometimes I begin getting replies from people I don't even know. I would love to be able to read the initial message responding and then leaving the conversation. Grouped pictures would be nice. Sometimes I try to show people a pic my wife sent me and I am constantly scrolling trying to figure out the day when she sent it to me. I would love to have those pics in a certain place where I can depend on it being there. I love the quick voice message, so when your thumbs get tired you can just send a good. You also have a quick video or voice messages that can self destruct liken to the appeal of snapchat. 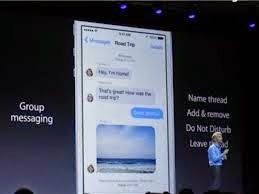 iCloud drive- Now all devices will have the ability to save to iCloud drive. 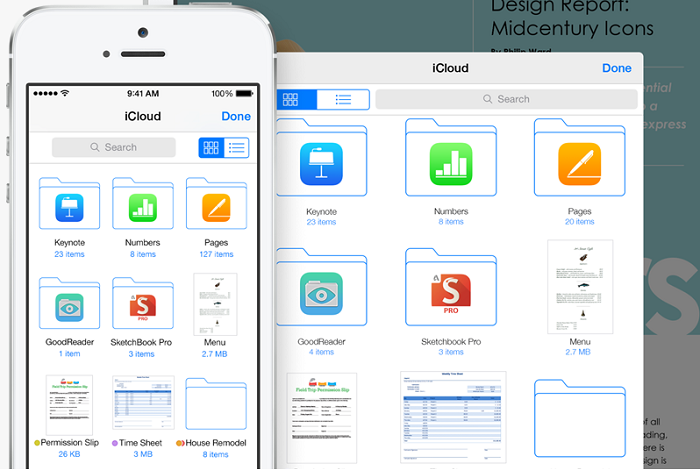 All the apple devices will be able to utilize the iCloud drive. This will be direct competition with one-drive. Microsoft makes it easy for all of your windows devices to use a common cloud drive to access your files. Google has done the same with its chromebooks. Now Apple will take this concept for its Apple products that will be a awesome manifestation of the end goal of Apple iWork productivity suites. This helps me know that I can create content on any Apple device and pick up and continue on any other Apple device I own. This means I don't have to worry about flash/thumb drives. Remembering what device I was using. That was the lure of chromebooks for me. 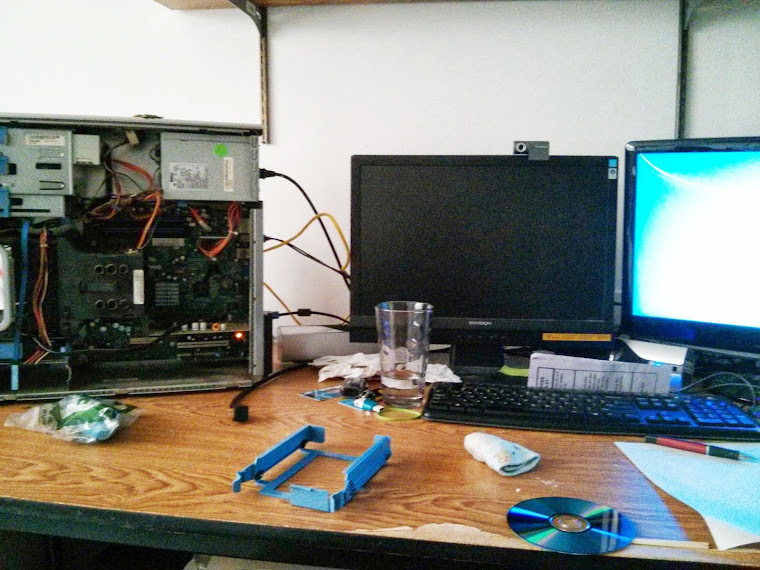 I was able to use any machine to get things done. The best part of it all is being able to "handoff" what I am doing on one device and finish on another. I can type an email , and then finish it on the computer when I feel like I need to type faster. I can also type up a flyer for my Church on my iMac and hand it off to my iPad to format the pictures on the flyer in the park. Also photos can be edited and updated on all of my devices. When I went back to iPhone from android, the first thing I did was download google plus to back up my photos. Now I can replace it , (probably do both ;)). The elephant in the room is the charge. It is only 5 gigs free and the photos pull from this, so basically your going to have to pay a subscription fee liken to live 365. I remember being happy that iWork apps where now free but I see why now, I am paying for the service now not the programs. The good news is that the price is lower , so I can get 200 gigs for basically $4 a month , which is cheaper than live 365. Quick Hot Spots - The bluetooth LE helps you to do some cool things like quick hotspot. Just the other day I was watching WWE network at my mothers house and it was tome to go home. I wanted to continue watching on my wifi iPad while riding in the car. (Wife was driving). So now Im hastily trying to start a hotspot, come up with a password, then pair it with my wifi iPad. Now I can just have my iPhone serve as a lte hotspot connect with my iPad whenever I step out of the house. This will make the LTE version of iPad's take a hit but I think it will make the iPad a nice companion device to my iPhone when ever I need a big screen for doing something. SMS/ Voice cross platform - speaking of companion device. With your phone now nearby you can send and receive sms text and calls through the iMessage app on your ipad and mac! I am most excited about this feature by far! When I get home I would love to plug my iPhone in the charger and plop on the couch with my ipad or macbook pro. It is so irritating sitting and the computer ready to geek out and then you her a ring or ding from a distance. 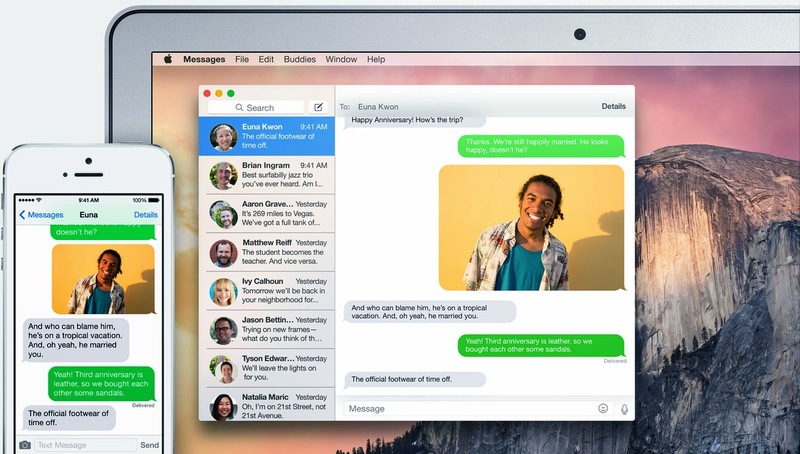 I would love to be on my mac, see a text come in through the corner and send a quick reply. I know my wife always complain why I didn't answer when Im immersed in geekdom. Now I am never to far away. I like being able to browse and call from a website. Just the other day I was researching hotel reservations and I wish I was able to call from the browser. I would also like to be on my ipad and answer a text from android brethren. Once again, it no longer matters what device I am using to get what I want done , just what is more convenient for me at that time. 2. Extensibility- I can use the same document in different apps awesome!